Why the Burrs Bonsai workshop… works! In November this year I will be hosting the Burrs VII, Burrs Workshops was introduced as a new way of learning the art of bonsai, in a purpose built training centre, huge warm and well lit workshop, full catering and expert help from some of Europe’s top award winning Bonsai artists. The reason that Burrs is so successful is based on simple ideals. Employ the best bonsai artists, encourage participants to be open minded to possibilities, sharing of ideas and techniques and Time. The most important being Time… Burrs starts on Friday evening and ends on Sunday afternoon, more than enough time to complete a large tree, forest group or lengthy work on any number of trees. “Burrs is like no other bonsai event I have ever attended, I struggle to find suitable adjectives to describe how unique an experience it is. I guess for me the best way to describe it is that 30 or so people fill the room with passion for Bonsai, for the whole weekend, and you have to experience that to appreciate it. This is what makes Burrs unique. You can learn so much without even working a tree. John Pitt Potter. Burrs VII is set to be the biggest and best yet with 15 participants already signed up. Take a look at the poster and Video’s and book your place before it’s too late. 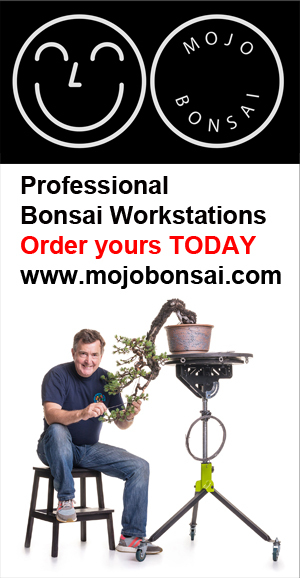 I forgot to mention… Burrs Bonsai Workshops is probably the best fun weekend you will have in bonsai.